Home events Remington, UK Hair Care Brand, is here! I have recently fallen in love with hair care products and the results on my hair have been really nice. It's shinier, softer, and easily manageable. I know I sound like a shampoo commercial product right there but it really is the truth and if you follow me on Instagram, you'd see photos of me showing off my hair because it really has become worthy of a selfie or rather, hairfie. When I heard that Remington, a well known hair care product from the UK was launching in the Philippines, I was very excited. When I received the invitation, I was ecstatic. After all, this is something that I can definitely use and use it I shall. The venue looked like it was straight out of a movie. The walls were illuminated so it looked like we were on top of a building looking out into the city. It was impressive so to speak. “We are excited to bring to the Philippines the most trusted brand in hair care, grooming, depilation, and shaving. Remington is a brand that has been around for more than 70 years, in 85 countries. Remington products are not just about exceptional quality, it brings forth a transformation for its users – giving them the confidence that comes from looking their best and being ready for anything,” said Clarence Cu, president of Tocoms Philippines, the exclusive distributor of Remington. Started in 1937, the Remington brand first rolled out shavers for women who wanted to keep their legs and underarms hair-free without having to pluck – an extremely tedious task to be done regularly. When it introduced plug-free shavers in 1960, Remington established itself as a pioneer in the hair grooming technology. In the last decade, Remington launched the world’s first body hair trimmer, an Intense Pulse Light machine for home use, and a touch-control beard trimmer. 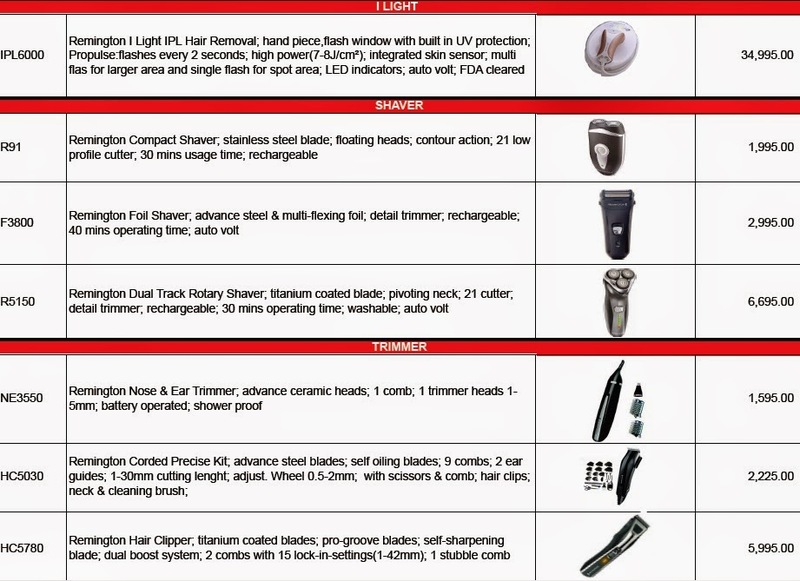 The product line of Remington for shaving is one of the most popular in the world. Developed in its research and development facilities in the United States and Europe, Remington shavers are known to be innovative and highly-efficient. The Remington grooming line for men includes shavers and body hair trimmers that have been designed to deliver several options for shaving lengths – from smooth to a one-inch stubble. Designed with the latest innovations, the grooming line for men also caters to the peculiar needs of men’s body and facial hair, giving consumers the best grooming experience. Female depilation need not be a horror story with the Remington product line that aims to give the smoothest result without the pain. Understanding the dynamics of hair care has enabled Remington depilation products to give the best experience for its consumers. I have their Remington Pro-Spiral Curler and I am very excited to do a product review on it. I know that I look much better with curly hair so I'm really looking forward to it.